Daicel’s Polysaccharide based chiral columns are the most widely used in the world with >95% success rate. 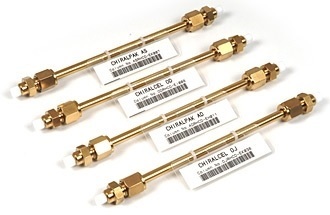 The normal phase columns are available in various sizes from Semi micro to Preparative type and also in 3-micron series for faster chiral analysis. The columns are compatible with normal phase and polar organic modes. The semi-preparative columns are suitable for a few mg to multi gram scale chiral separations.